Recovering from pregnancy and birth means that I’m not getting out of bed very quickly in the morning. Thank goodness it’s still summer break! The kids are just about big enough that they can get out the cold cereal themselves, but man alive do they make a mess when they try to feed themselves. I end up with half a box of corn flakes and a half-gallon of milk on the floor and table. Let’s just say that set-up is less than ideal. 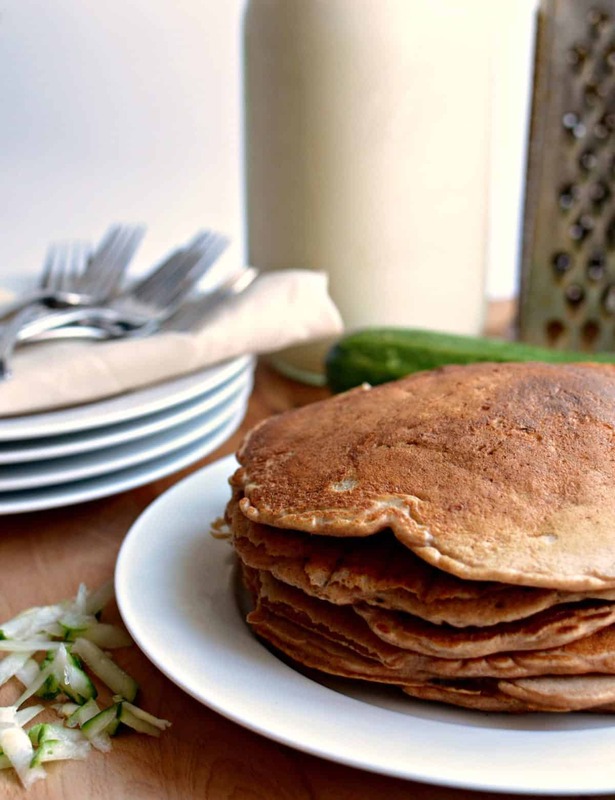 Healthy Whole Grain Zucchini Bread Pancakes to the rescue! 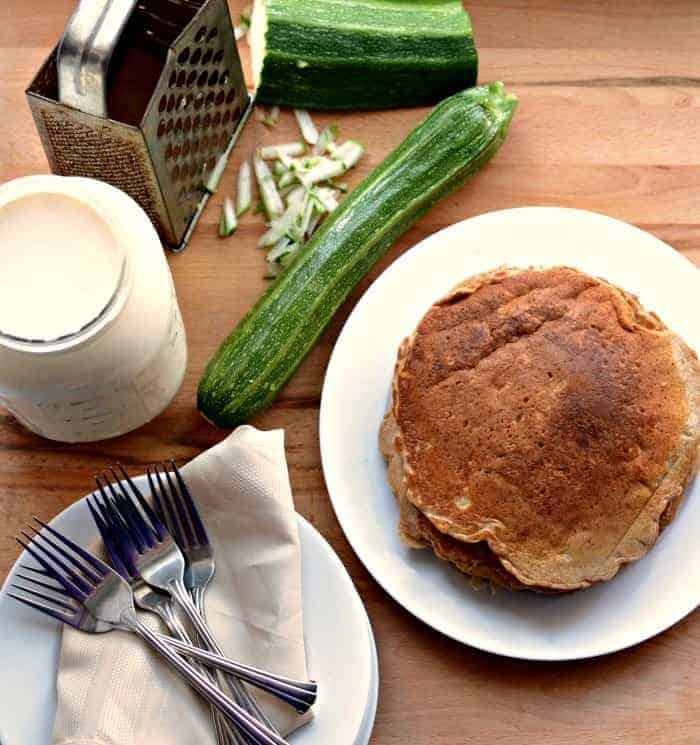 These zucchini bread pancakes have been a life saver! I can make a double batch any time during the week and they can enjoy them the next few days. I’m more than ok with getting up to microwave a pancake with a little butter and maple syrup on it. These are great fresh off the skillet and the reheating power makes them extra versatile. And the best part? They have vegetables and whole grains in them. These keep everyone full so much longer than a simple bowl of cold cereal and that’s a welcome thing, especially on days where we need to be out of the house and snacks are harder to get. The baby is gorgeous and growing. He had some pretty bad jaundice due to a blood incompatibility between Thomas and I, but we pushed through 7 days on the phototherapy (we’ve done this with all of our babies so it’s nothing new, but it is still hard to keep them in that little light box when you are in the thick of it). The other kids are adjusting about as well as you’d imagine. They love him to pieces but have some adjusting to do to mom nursing all of the time and not wanting to be out and about yet. We have a whole lot of tears, fighting, and beautiful sibling moments in our day. We’ll all figure out life again, but that road is a bumpy one. Thomas and I have looked at each other at least once a day the last week and just laughed and said, “Five kids is crazy!” We wouldn’t change it for anything, but five kids 8-years-old and under is a lot of work for sure. I can’t wait for my mom to get here this week. And last but not least, it’s this month’s #eatseasonal post! I’m so excited to still be participating. There’s so many amazing recipes this month. Summer is such a delicious healthy time of year. Check out all of the other posts and be excited, very excited. 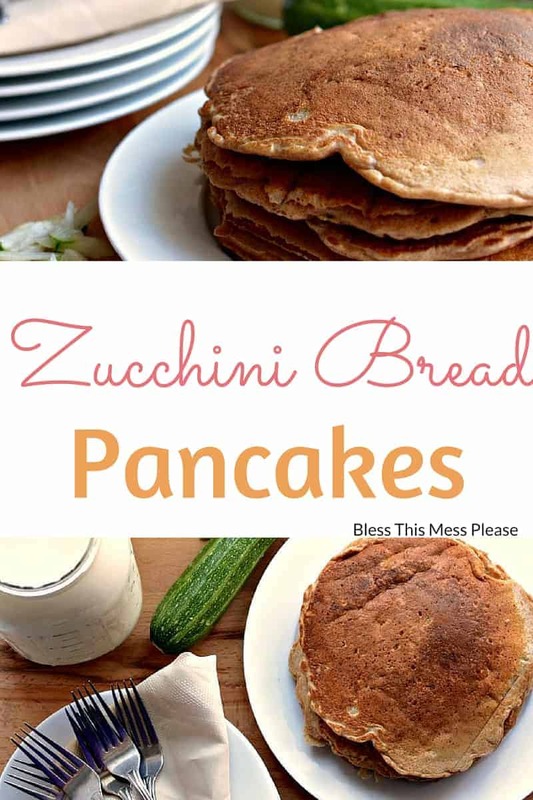 If you try these zucchini bread pancakes, let me know what you think! Leave a comment, pin it, and don’t forget to tag a picture #blessthismesseat on Instagram. I love to see your kitchen skills in action! In a medium bowl whisk together the flour, baking soda, salt, cinnamon, nutmeg, and cloves. Make a well in the center of the dry ingredients and add the butter, vanilla, maple, eggs, and the lesser amount of milk. Whisk to combine. If your batter is too thick add the rest of the milk and stir to combine. Add the zucchini and stir. Serve pancakes hot with additional maple syrup and butter. 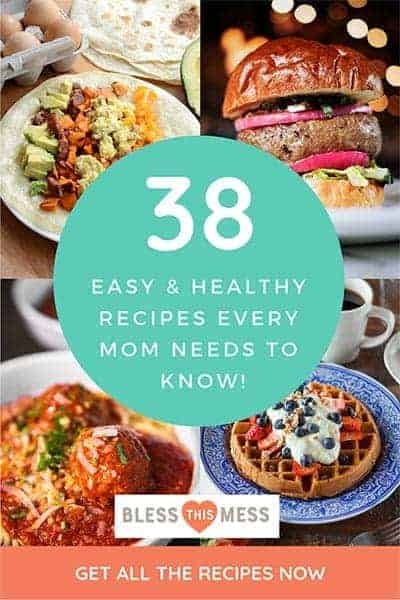 Don’t all of the recipes look fabulous! Becky from Vintage Mixer puts all of these together and even done a beautiful seasonal produce guide. 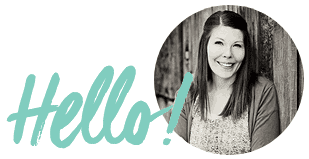 Check it out on her blog and see what produce will be at its peak right now. That Blackberry Buckles from Mountain Mama Cooks is calling my name! I love seasonal berries as much as my veggies. Thanks so much for being here! 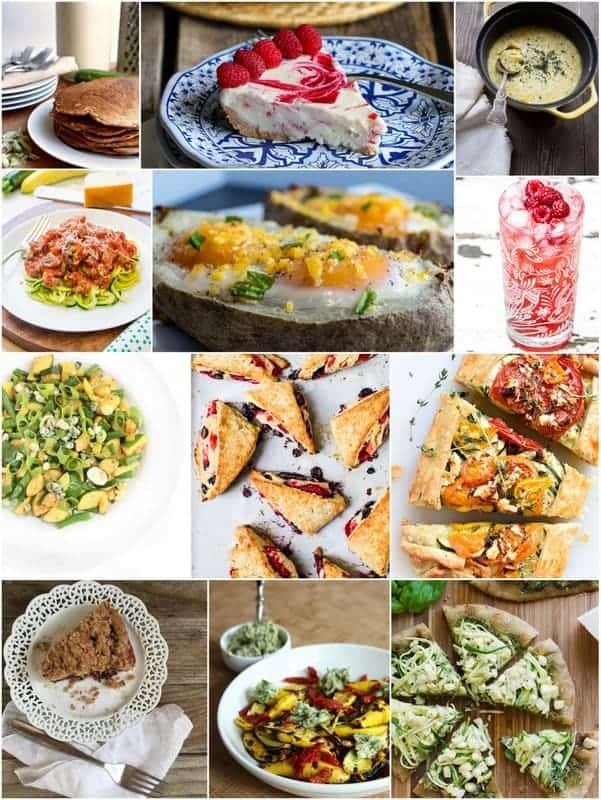 If you are on the hunt for more zucchini recipes here are some in my archives. You are an absolute wonder woman!!! So inspiring in so many ways! Now pass me a pancake!! You are a super mama! This is a wonderful way to feed everyone something wholesome and more satisfying that cereal – I am sure they appreciate it so much! Hope you’re getting as much rest as you possibly can! Girl! You are super women for sure! And still making sure everyone has an awesome breakfast. Love these pancakes. Putting them on the list for this weekend! Hi! Question. Do I need to get the water out of the zucchini before I add it to the mixture? Thanks! I don’t normally. The whole wheat flour seems to soak a lot of that up.